Gary Hoffman is one of the outstanding cellists of our time, combining instrumental mastery, great beauty of sound, and a poetic sensibility. Mr. Hoffman gained international renown upon his victory as the first North American to win the Rostropovich International Competition in Paris in 1986. 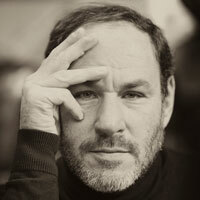 A frequent soloist with the world’s most noted orchestras, he has appeared with the Chicago, London, Montreal, Toronto, San Francisco, Baltimore and National symphony orchestras as well as the English, Moscow and Los Angeles chamber orchestras, the Orchestre National de France, the Orchestre de la Suisse Romande, the Netherlands and Rotterdam philharmonics, the Cleveland Orchestra for the Blossom Festival and Philadelphia Orchestra, among many others. Mr. Hoffman collaborates regularly with such celebrated conductors as André Prévin, Charles Dutoit, Mstislav Rostropovich, Pinchas Zuckerman, Andrew Davis, Herbert Blomstedt, Kent Nagano, Jésus Lopez-Cobos and James Levine. Gary Hoffman performs in major recital and chamber music series throughout the world, as well as at such prestigious festivals as Ravinia, Marlboro, Aspen, Bath, Evian, Helsinki, Verbier, Mostly Mozart, Schleswig-Holstein, Stresa, Festival International de Colmar, and Festival de Toulon. He is a frequent guest of string quartets including Emerson, Tokyo, Borromeo, Brentano, and Ysaye. Mr. Hoffman performs throughout Europe with various orchestras: Cordoba, Helsingborg, Warsaw, Stavanger, Budapest, Bodensee Festival, Orchestre National d’Ile de France, Russian National Philharmonic, het Gelders Orchestra, Holland, Luxembourg; and around the world in the United States, Asia, South Africa, in halls such as the Théâtre du Châtelet, Théâtre des Champs Elysées, Auditorium de Dijon, Concertgebouw, and the Kennedy Center. He also plays and gives master classes at the Ravinia Festival, Bloomington, Kobé, Manchester Cello Festival, Kronberg Cello Akademie, Salzburger Mozarteum, Festival de Prades, and Santa Fe. As a member of the Lincoln Center Chamber Music Society, Mr. Hoffman plays regularly with that organization. He has premiered the concertos of Laurent Petitgirard, Joel Hoffman, Renaud Gagneux, Gil Shohat, Graciane Finzi, Dominique Lemaître, and played the French premiere of Elliott Carter’s Cello Concerto. Born in Vancouver, Canada, in 1956, Gary Hoffman was the youngest faculty appointee in the history of the Indiana University School of Music, where he remained for eight years. In 2011, he was appointed Maître en Résidence for cello at the prestigious La Chapelle de Musique Reine Elizabeth in Brussels. Residing in Paris, he is an active recording artist with the BMG (RCA), Sony, EMI and Le Chant du Monde labels. His recording devoted to Mendelssohn on the La Dolce Volta label (distributed by Harmonia Mundi) will be released in 2012. Gary Hoffman performs on a 1662 Nicolo Amati, the “ex-Leonard Rose”. 05/2017 - PLEASE DESTROY ALL PREVIOUSLY DATED MATERIALS.